Trying not to become a creature of habit, I wanted to see something different to what I normally photograph at this time of year, so returned to the Scottish Highlands for a week in early May. 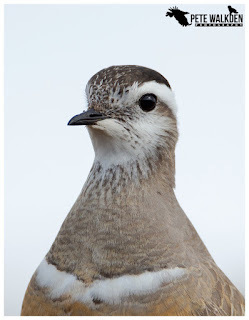 Unlike in Winter, I would be targeting species that aren't around during the colder months, though should I encounter anything I normally see, I certainly wouldn't refuse a shot. Setting off early on a Monday morning, I avoided the rush-hour traffic and decided to take a brief detour from the usual route, to explore Langholm Moor, an area where in recent years projects involving the interaction of hen harriers and red grouse have been conducted to understand what might be a solution to the issue of harriers preying upon the grouse. 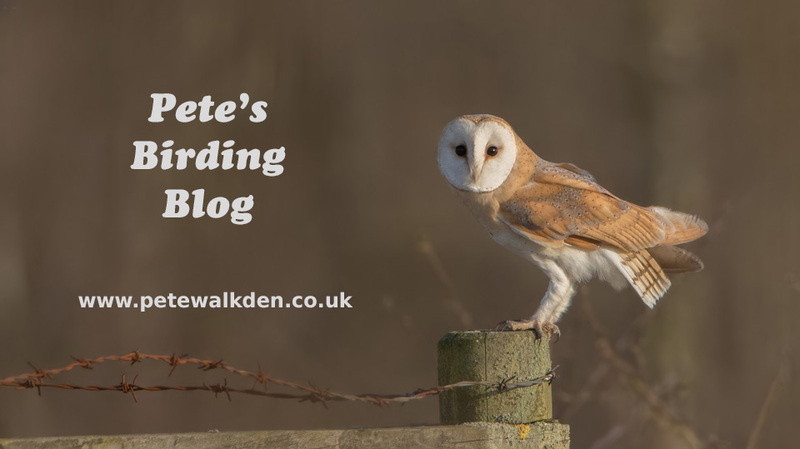 Obviously I was after the hen harriers, and despite arriving in torrential rain, the clouds lifted and I saw at least two males hunting over the moors. Too distant for photos sadly. 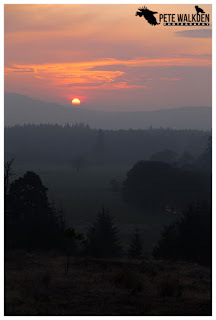 The area reminded me of World's End in North Wales, which is a tad closer to home for me! 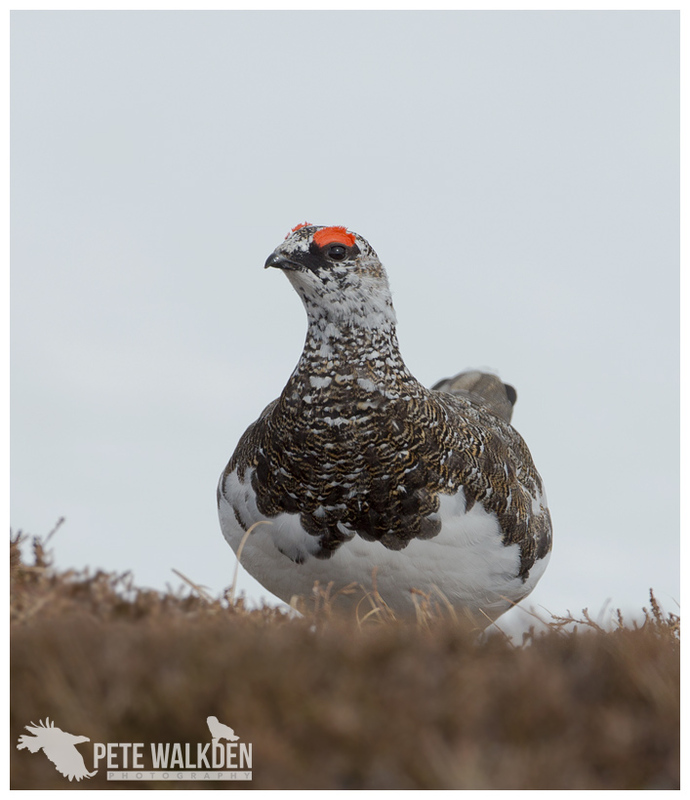 Continuing my drive up north, I aimed for some more moors, and watched the red grouse (mainly males) pecking at the heather. I assume most of the females are now on eggs. The loch was pretty choppy so I couldn't see any divers on it. It was pretty quiet, so I cut across to the A9 again, and went for a look down Findhorn Valley. It's an area where I have often seen birds of prey, and indeed this time, I spotted a few buzzards around, plus a distant red kite. But just as the skies had finally cleared, the breeze dropped down to a more pleasant speed, I saw something soaring up over the ridge up the slopes from me. A golden eagle. It was being mobbed by a buzzard initially, but the buzzard soon headed off when it had no effect on the much larger bird. I watched the eagle fly back and forth along the top of the hills, scanning the ground for any rabbits or hares that were hiding amongst the heather or behind rocks or trenches in the ground. 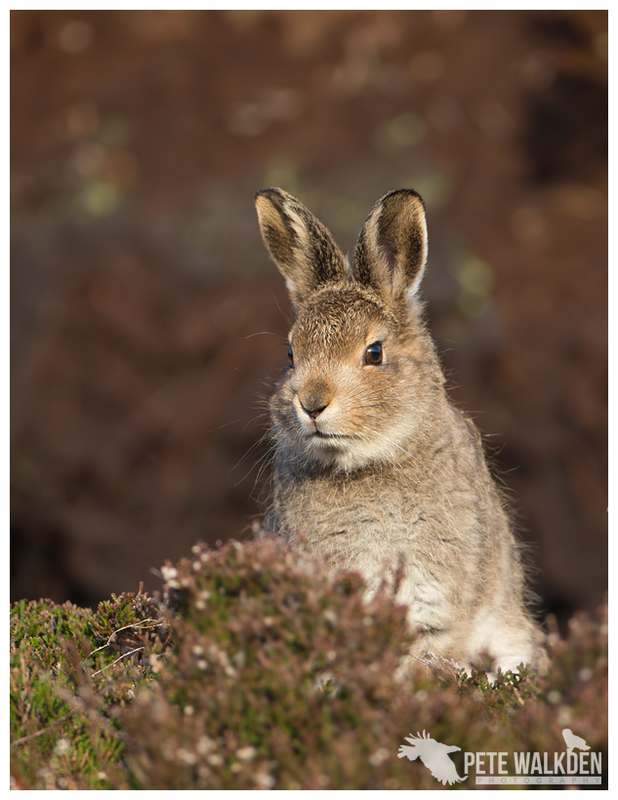 Of course the hares are now brown in colour so are much more difficult to spot against the vegetation, though there are a few leverets around that might be easier to pick off. 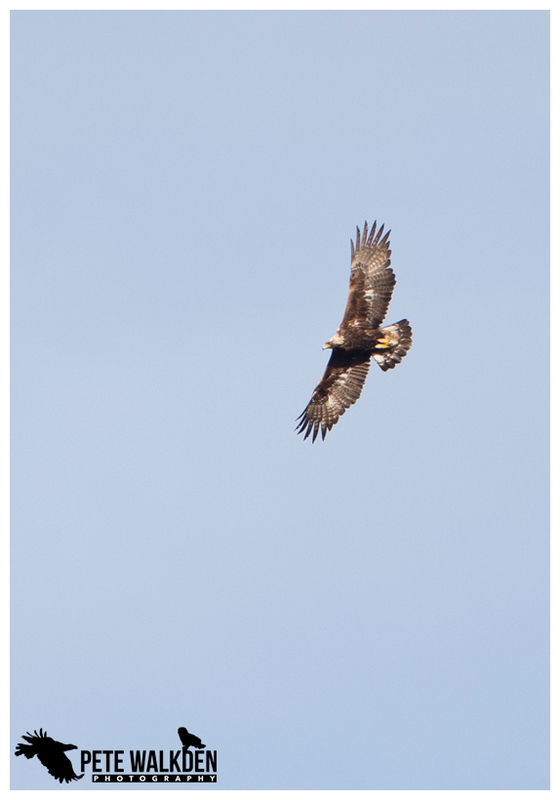 I watched it for a while, hoping it might change direction and perhaps soar towards me, providing closer views, but it never did, eventually banking away and vanishing from sight over the top. An encouraging start to the trip though. And the day ended at Lyndsey and Andy's place, with a bite to eat and the usual warm welcome and amusing banter I've come to expect from staying with them. The following morning was blustery, though the sun was still shining. 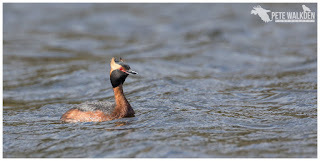 A trip to RSPB Ruthven provided views of the Slavonian grebes, but just as one started to edge closer to me, a greylag goose dropped in, landed between the grebe and me, and sat there honking until the grebe had gone away again. Stupid goose. I was not happy. Andy was free from lunch, so I returned to Inverness to meet up and we headed out for the afternoon together, to see a few sites he'd recommended. 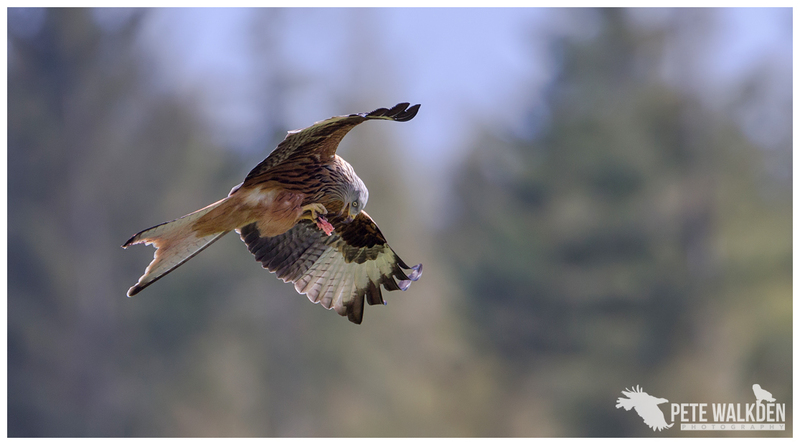 RSPB Tollie red kites feeding station was first on the agenda, where we watched just a handful of kites come down for the food put out. Unlike Gigrin, the kites here have to be quick to get the food, laid out on a table, or the local gulls get in there first and steal it! 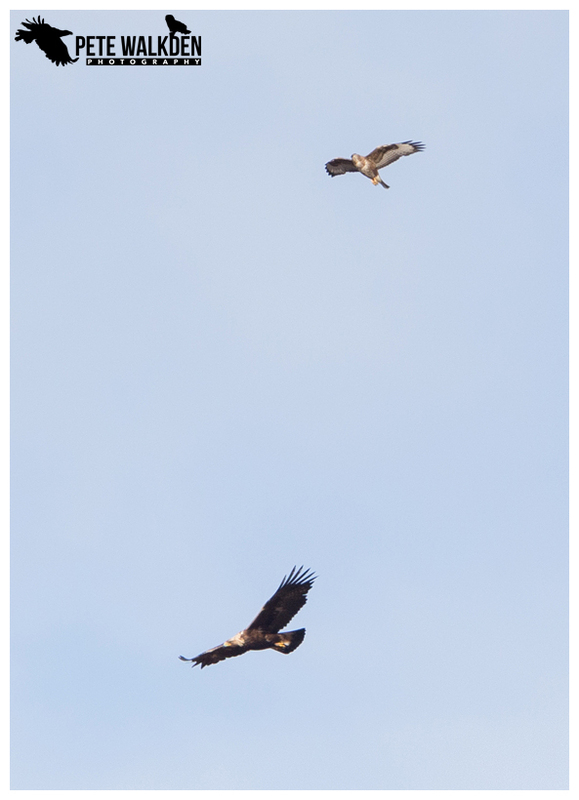 The volunteer put the food out in batches though, and this allowed the kites to be prepared and eventually they managed to get a meal. Not quite the frenetic Hitchcock-esque experience of Gigrin, but entertaining nonetheless. 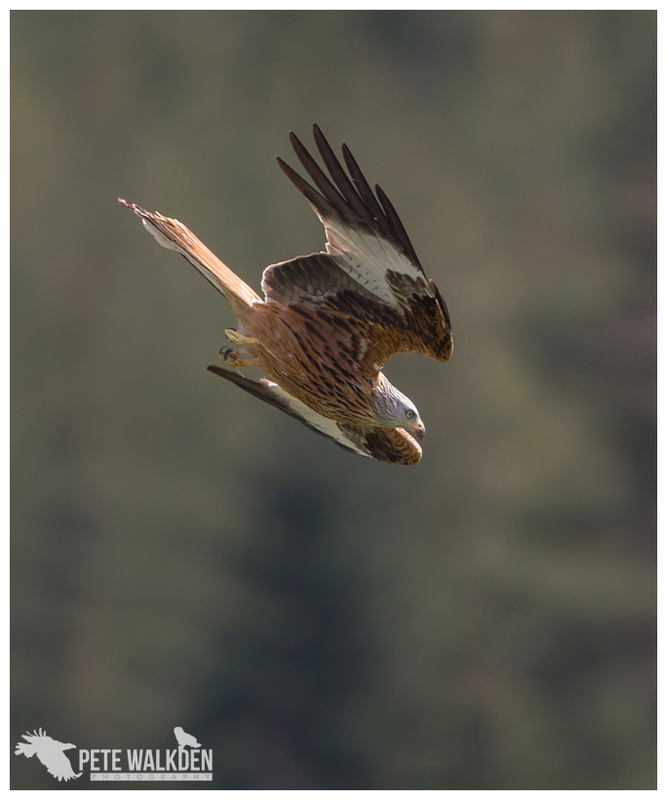 And maybe an indication that the red kites around the area are finding enough food of their own not to need to visit the site? I certainly saw a few around the wider area on my recent visits, so they're definitely establishing themselves. Next on the agenda were more Slavonian grebes, though this time at a different site, and as it turned out, a cracker of a place for views of them. 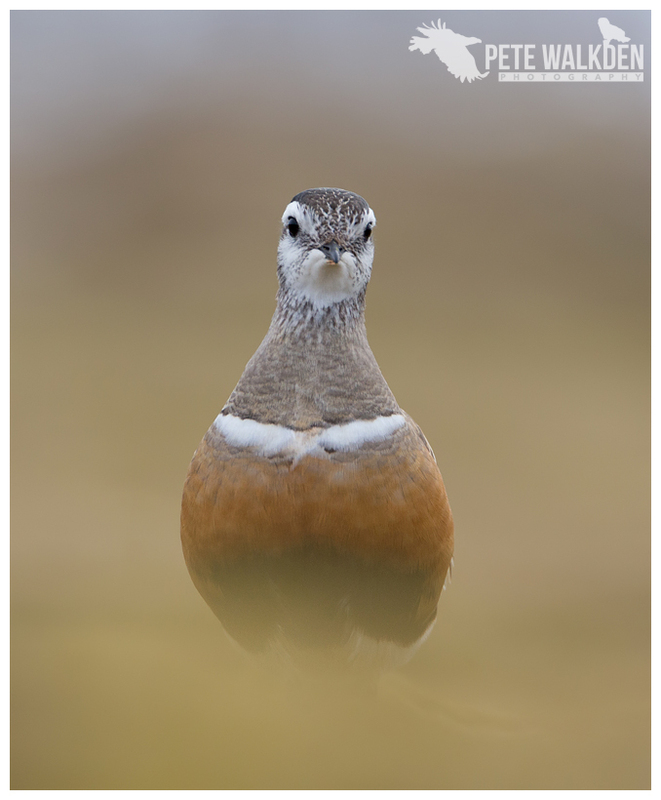 With the strong winds continuing though, this initial visit was more of a case of watching and noting behaviourial patterns, and working out where might be best for us to photograph from. However, whilst we were wandering around doing just that, a pair of grebes suddenly fronted up, and started to perform the courtship dance. Quite unexpected, as neither had presented the other with weeds, which is often a sign this is about to happen. I dropped to my knees (as the tripod was set low) and grabbed a few images of the performance. Face-to-face, they swayed their heads from side-to-side, making high-pitched trill sounds. But the choppy conditions cut short their show, and they dived back beneath the waves once more. 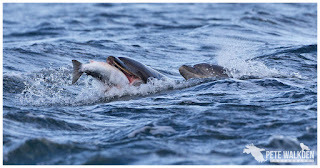 Then it was on to Chanonry Point, to see if the dolphins were performing. I've been before, but never had much success, and again found it tricky to guess where they would surface. Andy advised that they often use the tide to hold their position, so keep pointing the camera at the same place, but with the strong breeze and choppy waves, this was harder than it sounded. I think a smaller zoom lens might have been a better idea to give a wider area to watch, but eventually I got some action in the viewfinder. 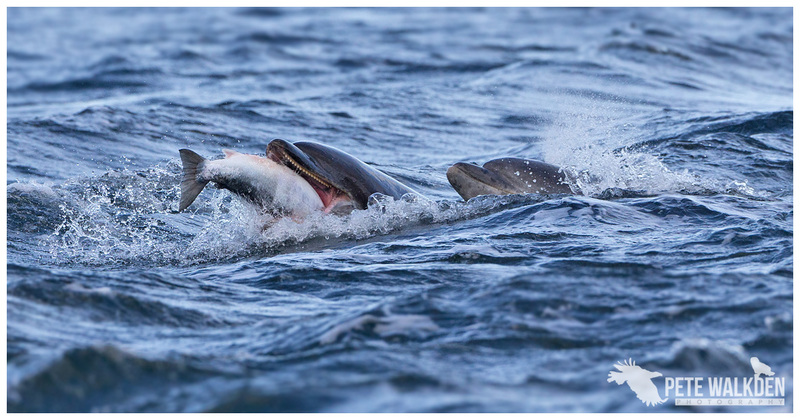 The dolphins lie in wait for the salmon, as they come into the shallows of the firth, and set a trap effectively, so the fish virtually swim into them. You do get to see the dolphins occasionally accelerate to catch some, and it's quite dramatic as they make the surface froth with their speed and power. Once caught, the fish need to be in a precise angle to be swallowed, so you do see them being spat out and eaten again. 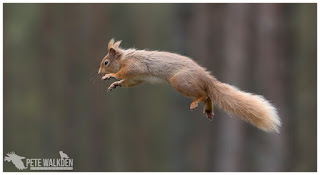 Andy is definitely a man with projects, and one of his latest is with red squirrels, not only photographing them in woods, but specifically getting images of them leaping. They can jump a very long way, as was seen initially with camera traps he'd put out, with them jumping over fifteen feet between trees. 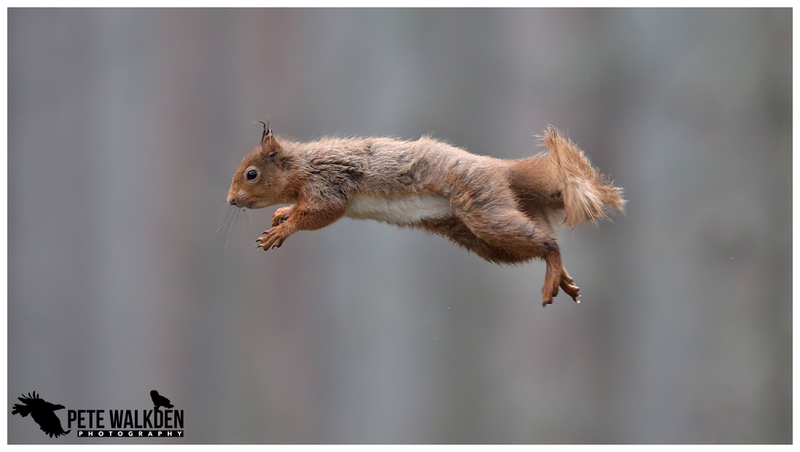 Putting in a hide, laying out a set-up to encourage them to jump and a reward of some hazelnuts, and hey presto, the chance to photograph them in mid-air! With the woods being a gloomy place, a bright lens was needed, so I borrowed Andy's 70-200mm f2.8 though coupled with a 1.4 converter, still allowed for enough light in for the shots. Then it was a case of pre-focusing to where the squirrels jump across, and burst shooting as they do. 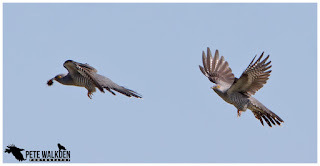 You have to be quick as they're over in a flash! We spent the middle of the week visiting the various sites at varying times. The dolphins were breaching more on one morning visit, but the light was behind them and the wind so strong, it was an effort to stand up, let alone keep the lens steadily pointing at the same spot on the churning sea. Still, I got a lucky break when one breached and I was alert enough to get a shot. 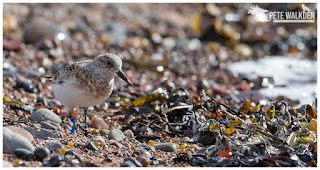 A small group of sanderlings caught my attention briefly, especially one that seemed to have been ringed so many times it seemed a tad ludicrous! Surely one is enough? 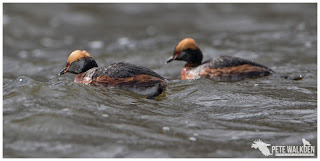 Another visit to see the grebes was amusing in that the waves on the loch were so large, the grebes vanished from sight when they were in the troughs. Would we ever get a calm day? However, while it wasn't perfect for certain images, we did get to see some behaviour between the grebes, and the pair that had been courting earlier in the week, had obviously set up a nest and for a while at least, didn't seem keen on any other grebes coming close, so one was chased away! 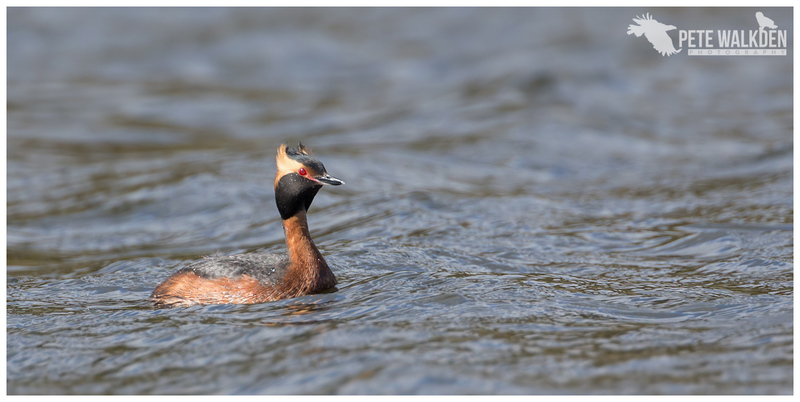 And after the brief escape, the grebe chose to perform a wing-flap, which was snapped up by us both watching from the shore. 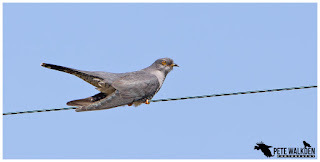 An added bonus, as we headed away from the loch was the sight of a cuckoo using some overhead wires to watch for caterpillars to swoop down upon. 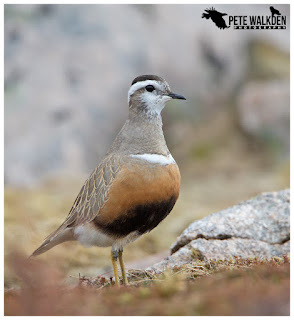 Friday was the first calm day of the break, and Andy's friend Derek had pencilled it in as the day for hiking up Cairngorm for the dotterel, if they were back. Derek believed they arrive back late April, so ought to be there, though no-one had reported them from the site yet. Perhaps no-one had looked? The hike up was warmer than we'd expected, and I regretted ignoring Andy's advice about wearing light trousers, though I wasn't overly hot. As we reached the patches of snow higher up, shapes moved on rocks and Andy spotted a pair of ptarmigan. Worth a shot or two and my legs needed a break too! 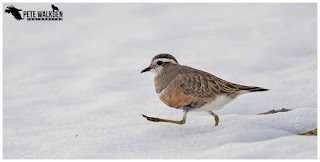 Seemed strange when the weather was starting to show signs of summer that these birds could still be wandering around on snow. No need, as my phone started buzzing again. 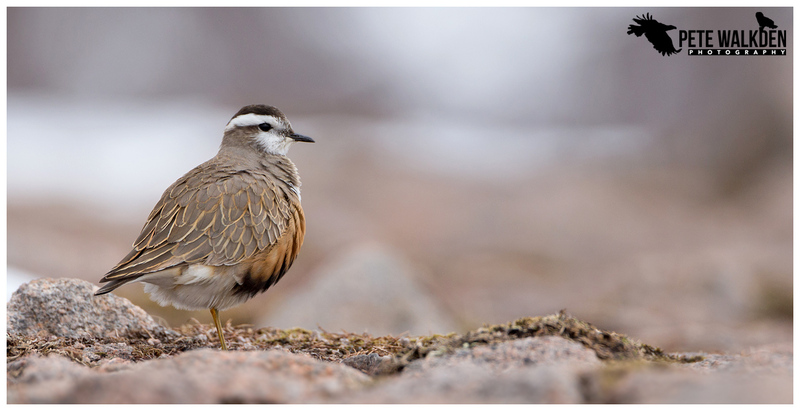 Andy was on the line and they'd found a group of six dotterel on the top. Time to get my legs working again and get my sorry excuse of a body up the mountain. To be fair, the rest had worked and I was soon up top, and within moments of getting there, clocked the dotterel. Initially, they were wary of us, so we sat still and had a bite to eat. Then the dotterel became intrigued by us, and approached. Fantastic. We only had to sit or lie down, and they came over to us, sometimes too close to focus on. There were five females and a lone male, who was being chased by the keen females, trying to secure him for a mate. We saw scuffles, chases and heard lots of calls as they scampered, scuttled and flew around the area. I have seen dotterel in the past, several times, but never close like this, and it was a wonderful experience. 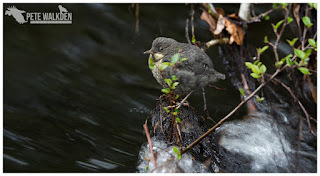 Derek explained how the female makes the nest simply by pressing its chest into some soft vegetation to form a small cup-shape, where the eggs are laid, and the male pretty much takes over then, leaving the females to leave. He has to look after the nest and subsequent chicks to raise them to the point of them flying away safely. 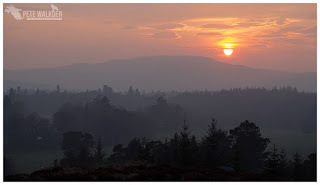 Quite a challenge, when the area is watched by eagles, ravens and even visited by red foxes. I had pretty much lost track of time up there, and we were late leaving the top. I could have stayed all evening, but it was definitely dropping in temperature and was probably wise to head back down, given the distance involved back to the car park. Waiting for us there was the herd of reindeer, but the sight of them feeding beside cars didn't inspire me to take any shots other than with my phone. I was exhausted and the suggestion of chips was a far more appealing idea. Another awesome day in the Highlands. 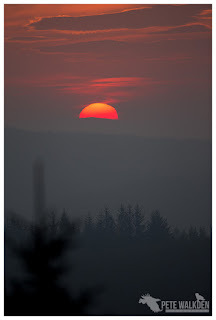 The weekend had arrived and this meant two became three, with Lyndsey joining us on our days out. Visiting the dolphins yielded a close sighting of a guillemot fishing in the shallows. 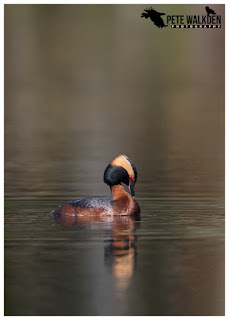 And afterwards, we headed over to the Slavonian grebes. The loch was flat but a breeze kept disturbing the surface seemingly each time the grebes appeared. Annoying, but magical to see them so closely. 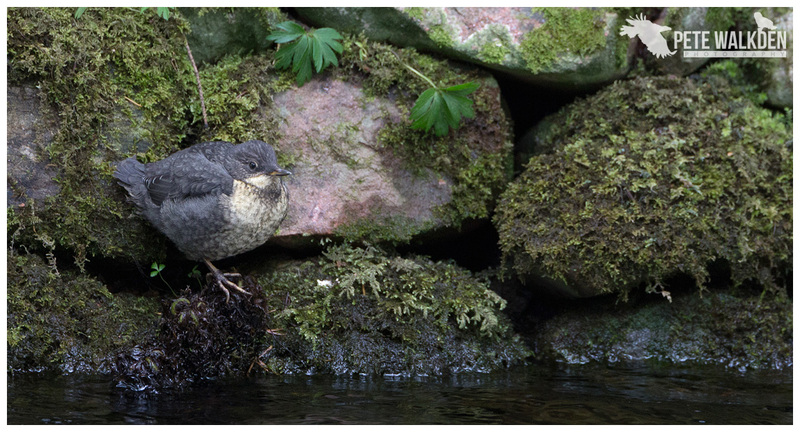 Andy and Lyndsey took me to a site at the end of the day where they'd spotted dippers, and it didn't take us long to find them. 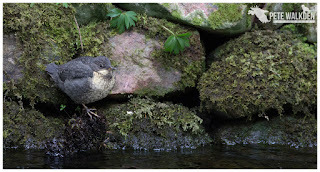 There were three fledglings hiding in plain sight around the banks of the river and the parents were visiting each in turn to feed. 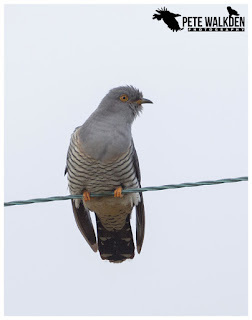 Though some had chosen a better place to perch than others! The last full day of my trip started with a session in the red squirrel hide, though it was very gloomy indeed, and despite using a 300mm f2.8 lens, I still had to ramp up the ISO to 5000 for some images. Still, we had a good number of jumps to photograph and the project looks very promising for Andy. And it was interesting to see how the squirrels use their bushy tails during each jump, twisting it and swishing it around for stability. 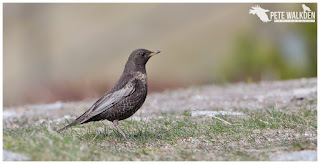 The latter part of the day was spent on the slopes around the Cairngorm Ski Centre, with ring ouzels being the favoured target. 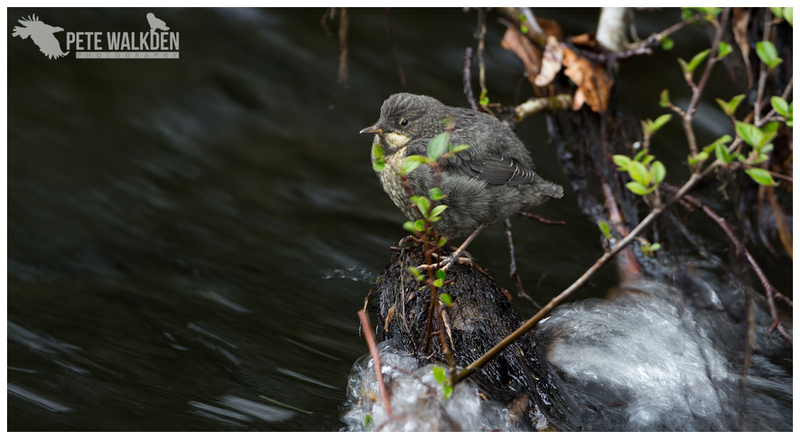 There were at least two pairs around, and the female was the most accommodating when it came to providing photo opportunities. 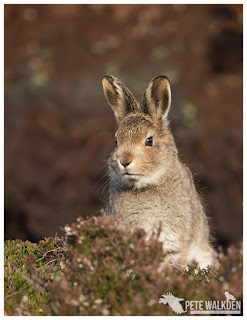 Wanting to eek out every last moment of the trip, we headed elsewhere for the evening light, and as we looked for grouse on the hills, found a most compliant, and oh-so-cute subject. 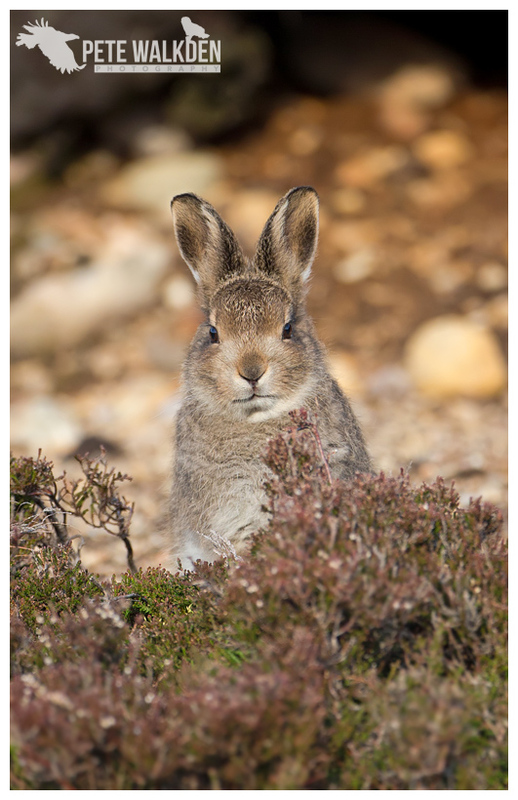 A mountain hare leveret, and it didn't mind us being close at all. What a sweet little character. 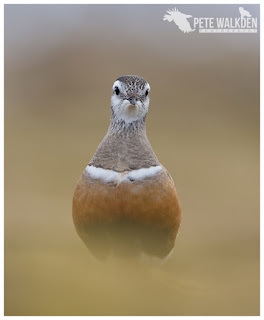 Afterwards, I amused the others by manually pushing the car along the road so they could get some shots of a wheatear, avoiding the clatter of the diesel engine spooking the bird! And then we found somewhere to watch the sun set. Gorgeous. Warranted a change of lens too! 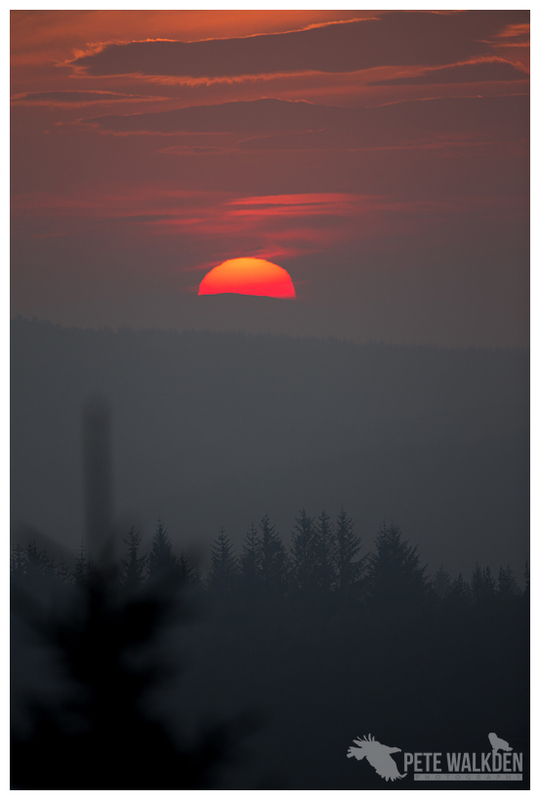 It was a tranquil, peaceful few minutes as the orange orb slowly sank below the horizon, accompanied by the calls of a cuckoo. 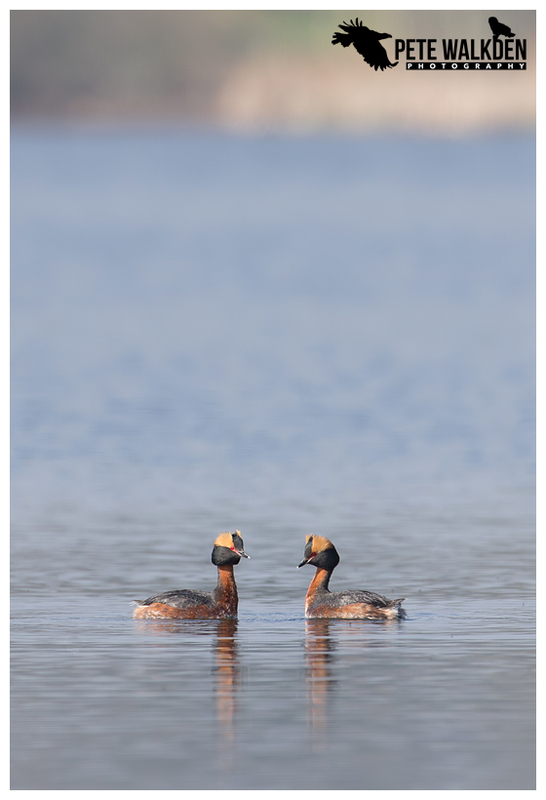 I had considered an early start for the long drive home, but Andy tempted me with one last visit to the grebes, and with a forecast of clear blue skies, calm conditions and a temperature in the mid-twenties, it was hard to refuse. 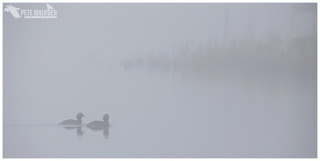 Reality was that on site the loch was shrouded with mist, and it was hard to make out anything initially. The mist slowly cleared and we hoped for some similar close views of the Slavonian grebes as on previous visits, but as anyone who does wildlife photography will know, nothing is guaranteed. 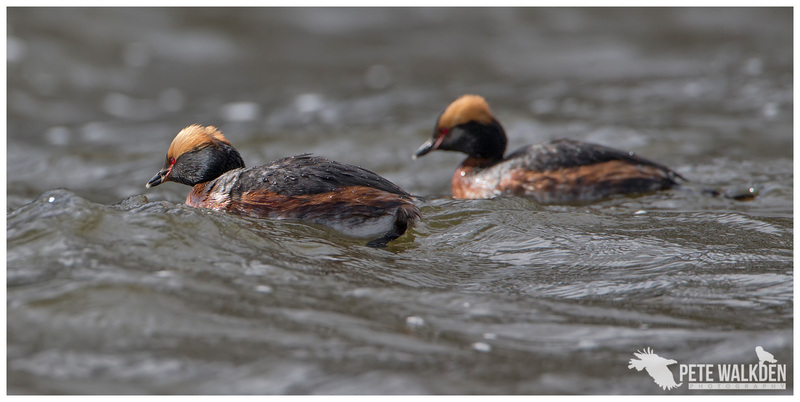 The grebes we had been watching were obviously now taking it in turns to sit on eggs, and only one would go fishing at a time. 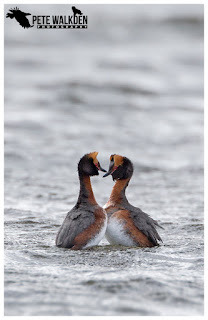 And the other pair sharing the area preferred fishing further away. 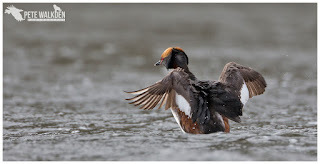 But to see them in such vibrant light was a treat, and we almost got a courtship dance. 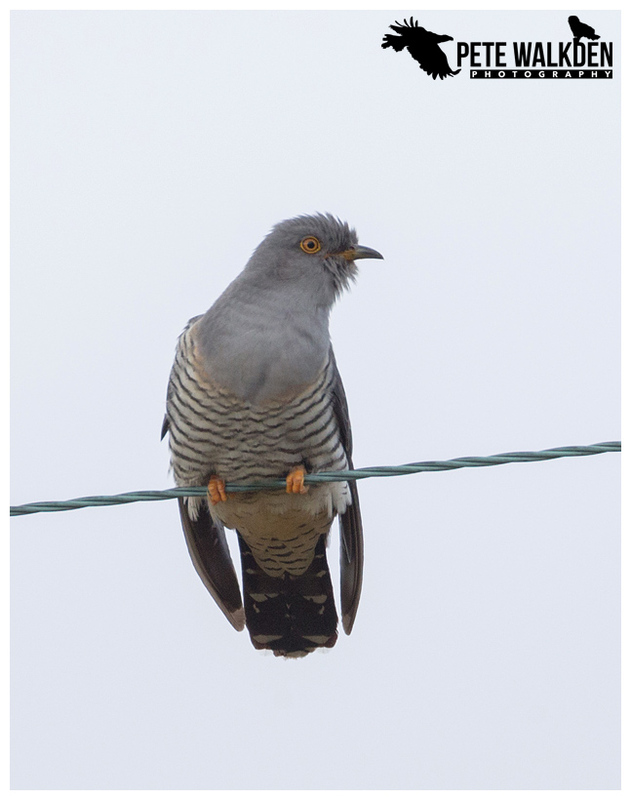 One perched closer for a brief moment, adopting that classic cuckoo pose, but they then flew off, and I knew it was time for me to do the same.